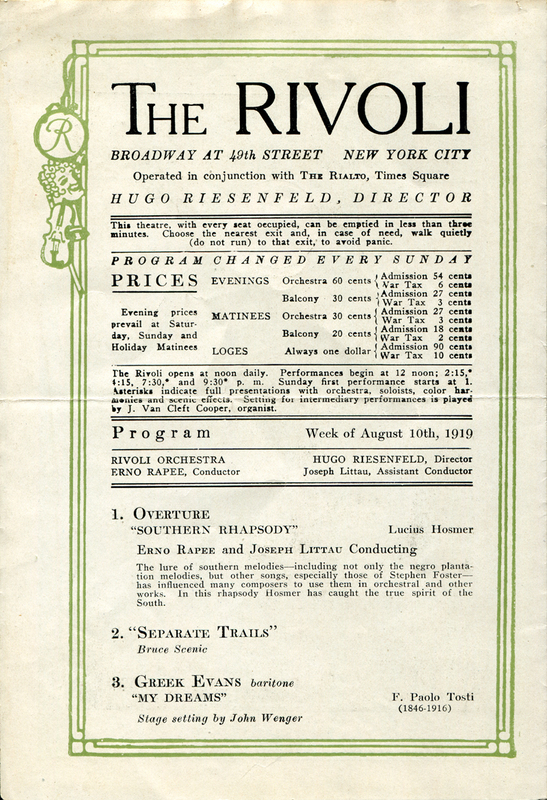 SCVHistory.com | William S. Hart | Rivoli Theatre Program: Broadway Premiere of 'Wagon Tracks' 8-10-1919. 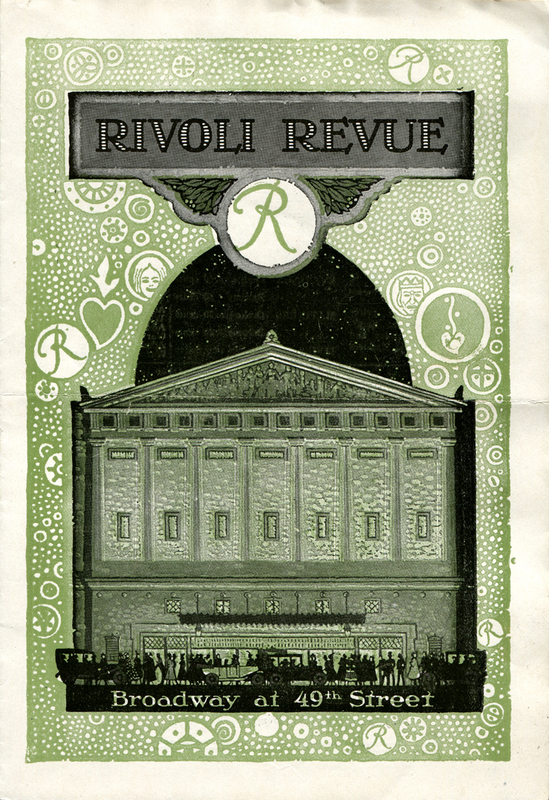 Rivoli Theatre program for the Broadway premiere of "Wagon Tracks," August 10, 1919. 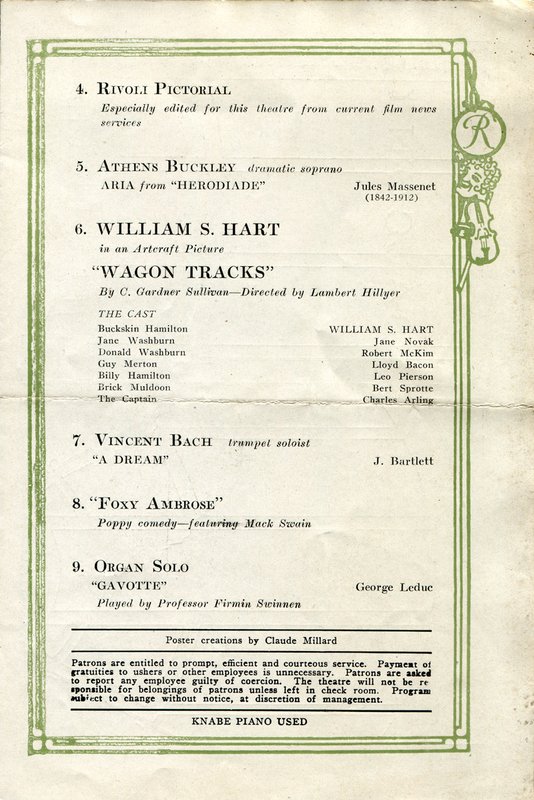 An Artcraft picture, "Wagon Tracks" was co-produced by its star, William S. Hart, and by Thomas H. Ince (Famous Players-Lasky Corp., later known as Paramount). 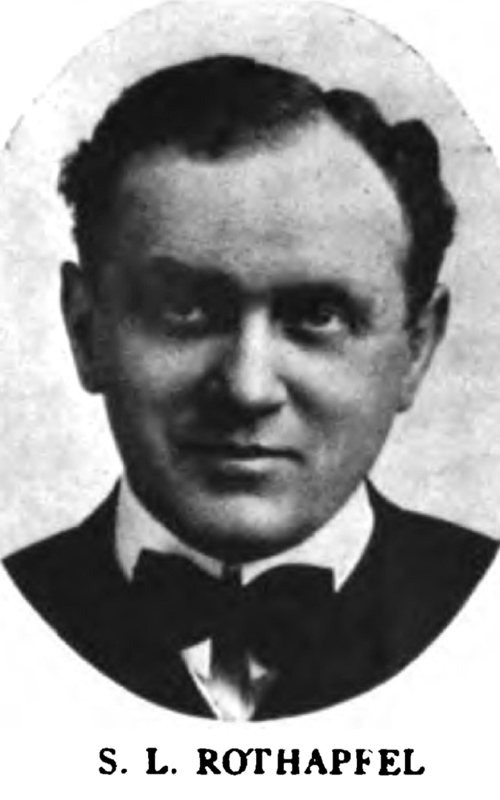 It was directed by Lambert Hillyer from an original story and screenplay (scenario) by C. Gardner Sullivan. It was released July 29, 1919. Set at the beginning of the California Gold Rush and taking place primarily along the dusty trail (where the wagon makes tracks), this is a story of revenge, in this case for the murder of the Hart character's brother. The love interest (who initially shields the killer) is played by Jane Novak, who was probably also an object of Hart's off-screen affections. 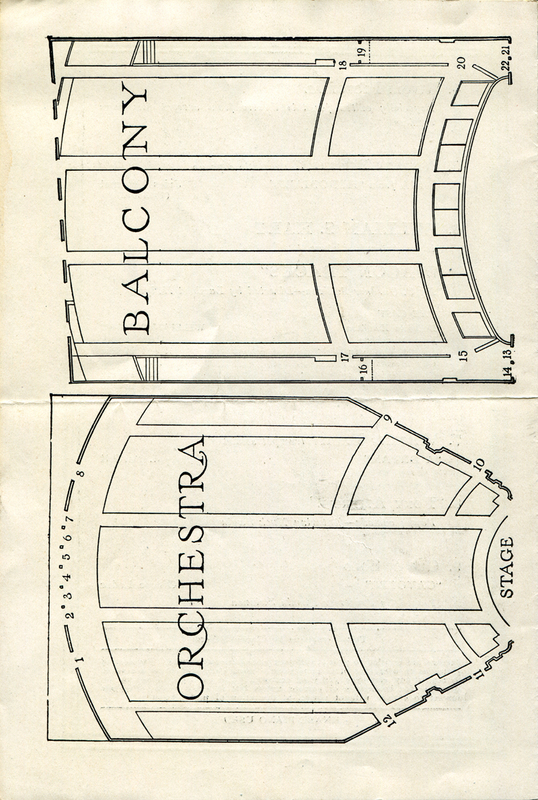 Rounding out the cast are Robert McKim, Lloyd Bacon, Leo Pierson, Bert Sprotte and Charles Arling. 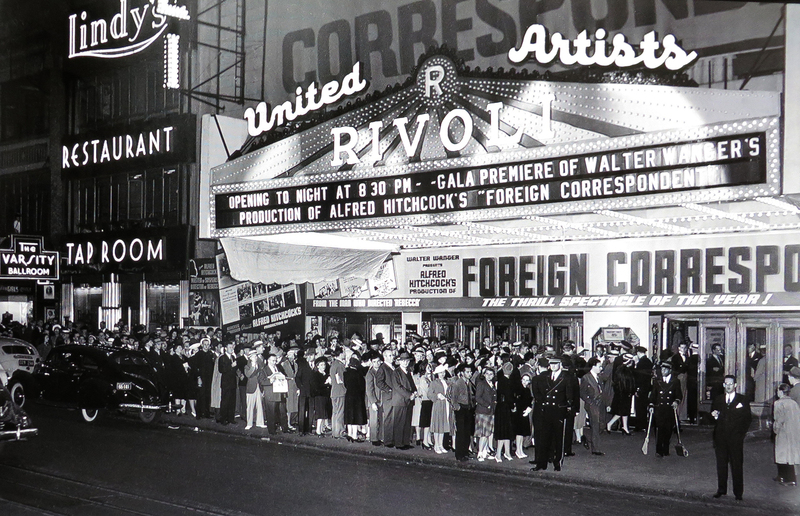 The Rivoli Theatre performance includes, in addition to orchestral and organ numbers and singing, a short nature or travel film; a newsreel; and a short comedy, "Foxy Ambrose," starring Mack Swain.